-Standard 4" polyolefin casters. Rust-proof bottom. Includes stitched reinforced handles. 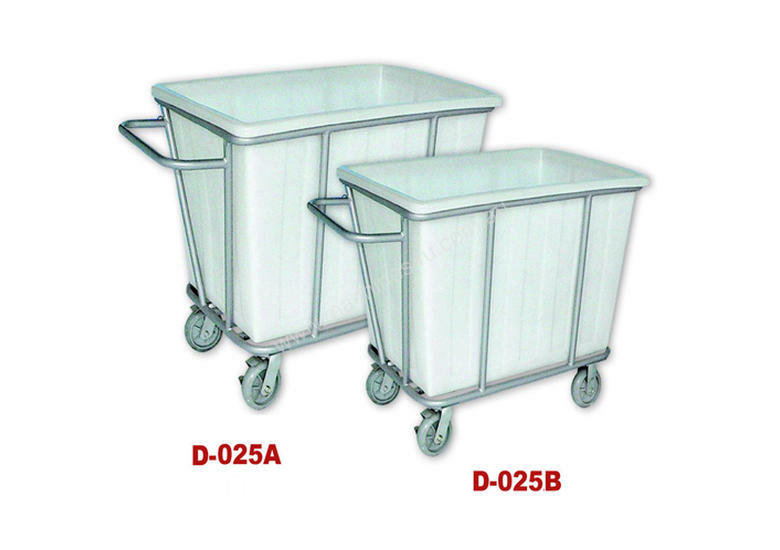 -A clean, washable cart for factories, hospitals, hotels, department stores or warehouses. Features: this good looking bulk handling cart is the ideal solution to moving large quantities of material where cleanliness and neatness count.